The end of 2015 and beginning of 2016 we were busy getting to know our precious new baby boy, so cakes were not on the agenda. 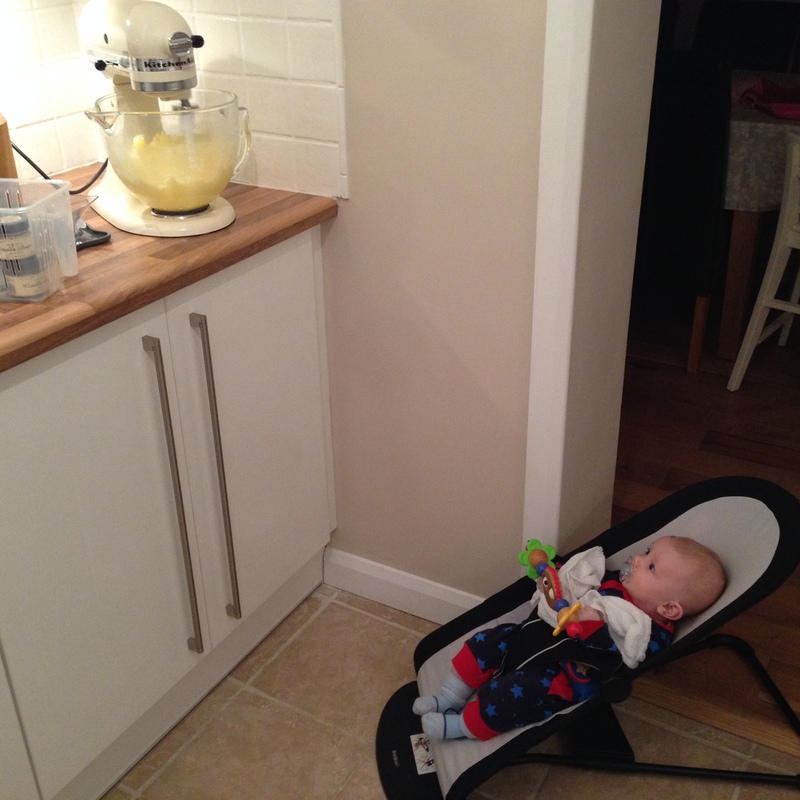 But by February our son was four months old, we were a bit more settled in a routine and I wanted to try to get back into doing some cake decorating! 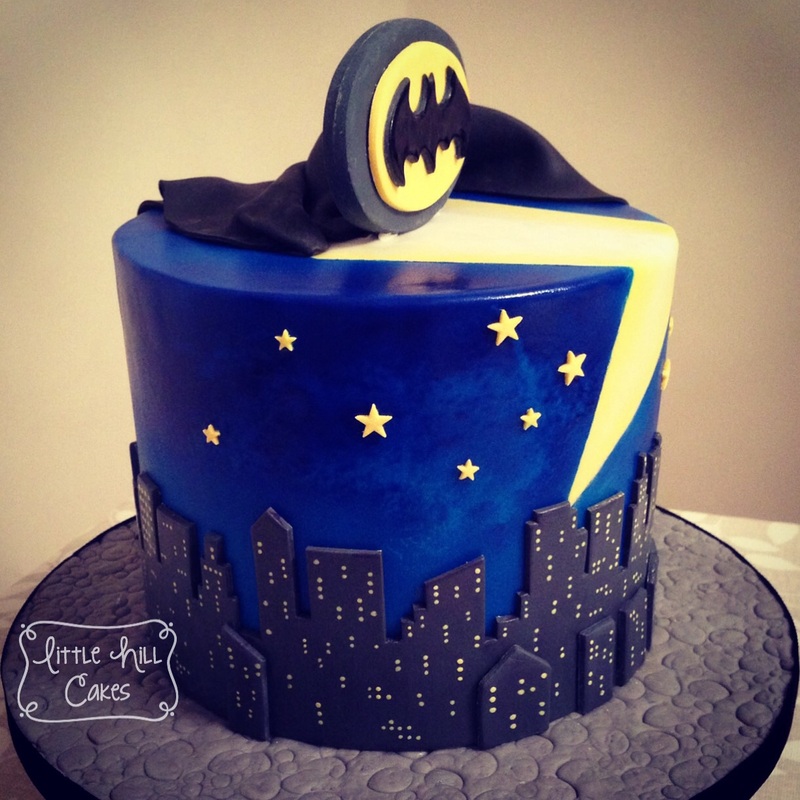 My batman loving sister-in-law had her birthday at the beginning of February (as she does every year… 😉) and I’ve never made her a decorated cake, so I thought that would be the perfect excuse. I wanted to try out my airbrush again so designed the cake with a search light against a dark blue sky with a city silhouette in the foreground. 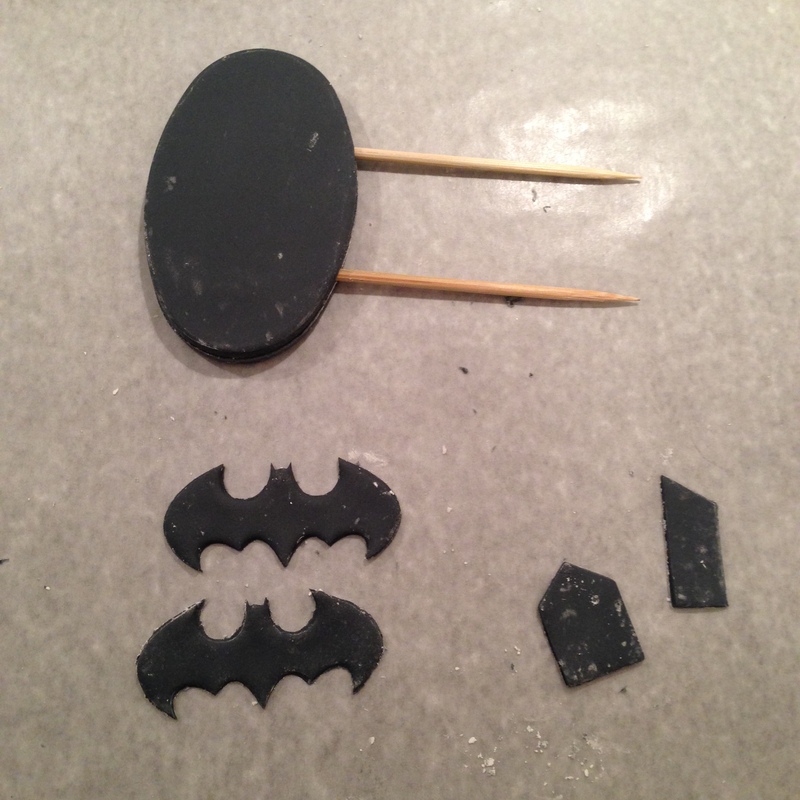 I made the batman logo (using some batman shaped toast cutters…) a few days ahead to give it time to dry, and formed two oval shaped back to back around two wooden kebab skewers so I could insert it into the top of the cake. I also made the city silhouette a couple of days ahead. I made it from gum paste and cut out the shapes by hand, and then left the two parts to dry on the sides of upturned cake tins so they would dry with the right sized curve to fit round the cake which was six inches in diameter. 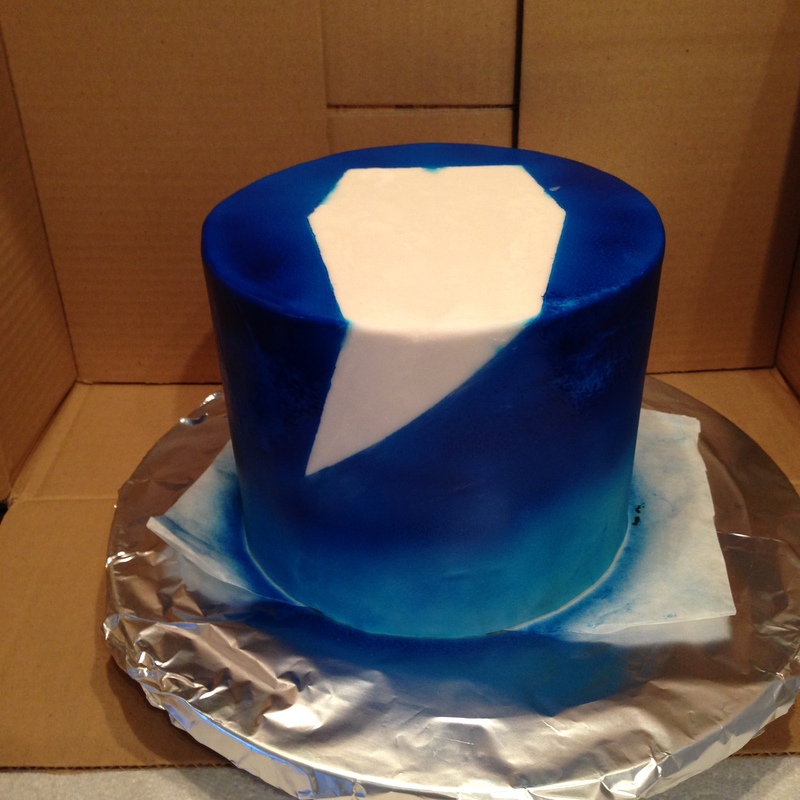 I covered the cake in white fondant and then cut out a triangle temple from paper and attached it to the cake using Crisco shortening so that when I airbrushed the cake that part would remain white. I think I got a bit trigger-happy with the airbrush and built up the colour too quickly (still need practise!) as it started to run in places, and when I tried blotting the runs with kitchen paper it left marks on the cake… 😳 However the marks looked like clouds and I quite liked the effect, so that turned out ok! I dusted the edges of the white triangle shape with yellow petal dust for the search light. 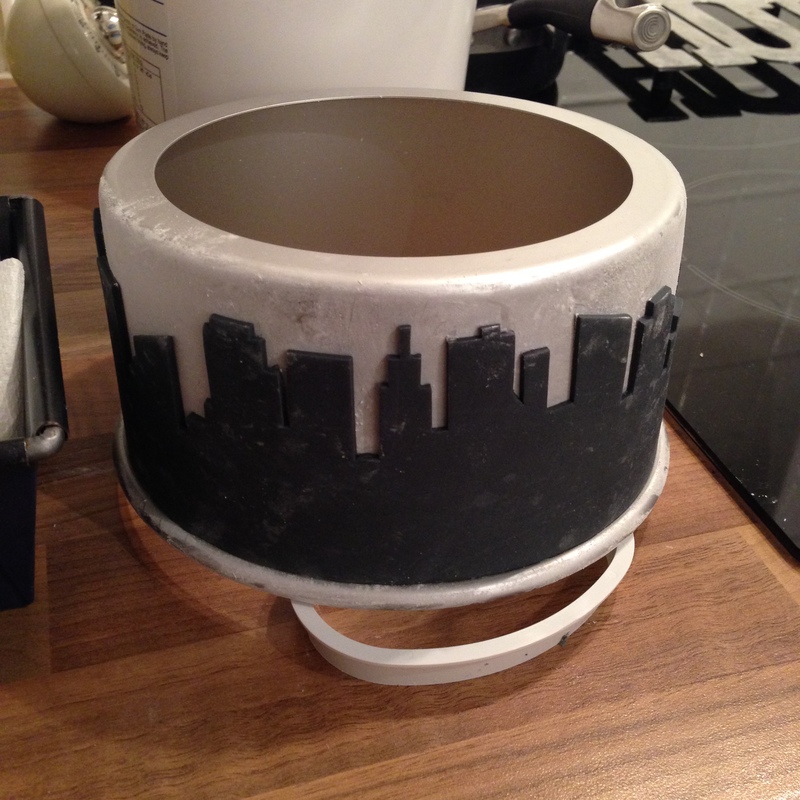 Once the cake was dry I attached the city silhouette, and then spent what seemed like ages adding all the window lights with yellow gel colour on a tiny paintbrush! 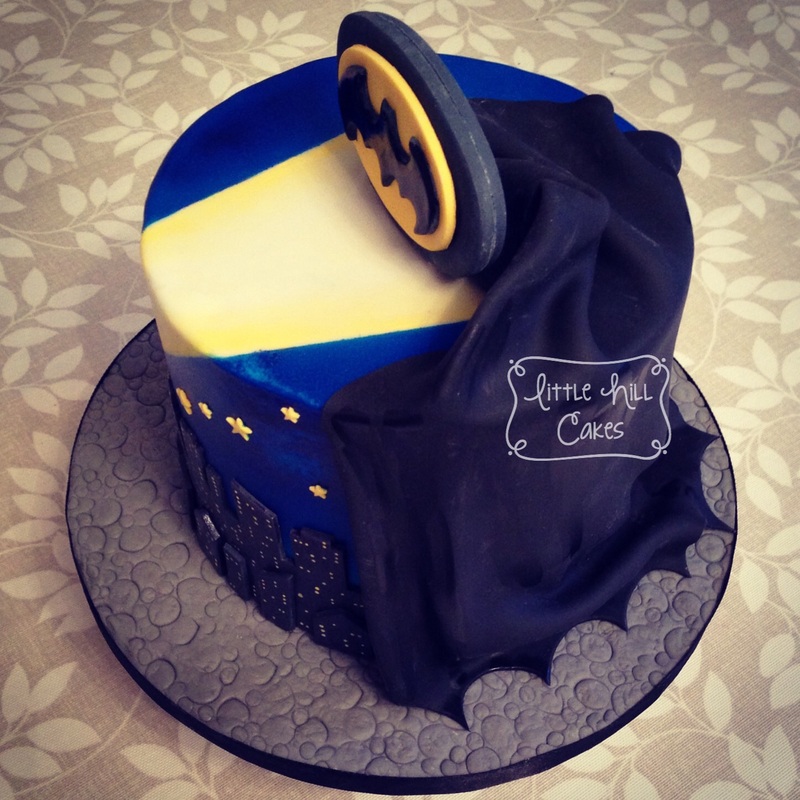 For the cape I used some black fondant (Carma Massa Ticino – it’s just the best!) which I rolled out and then cut semi-circles out of the edge. I shaped the end that was going to attach to the cake over skewers and then draped it over the cake. 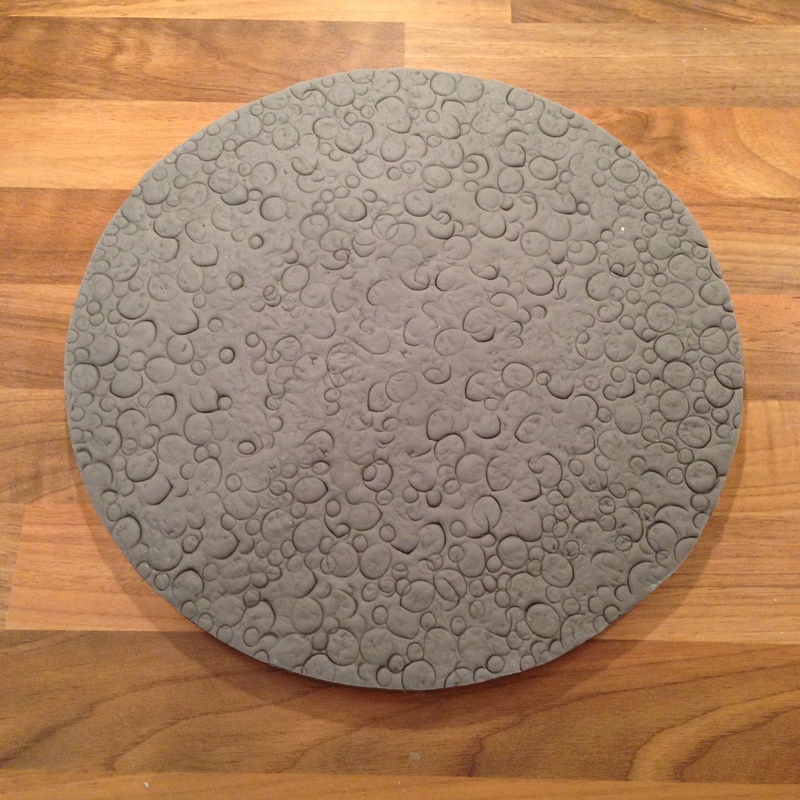 When it came to covering the board, I thought I had a cobble-effect mat, but it turns out that I don’t! So I covered it in grey fondant, covered that in cling film (saran wrap), and then pushed the ends of different sized drinking straws into the fondant to try and give it a cobble effect.